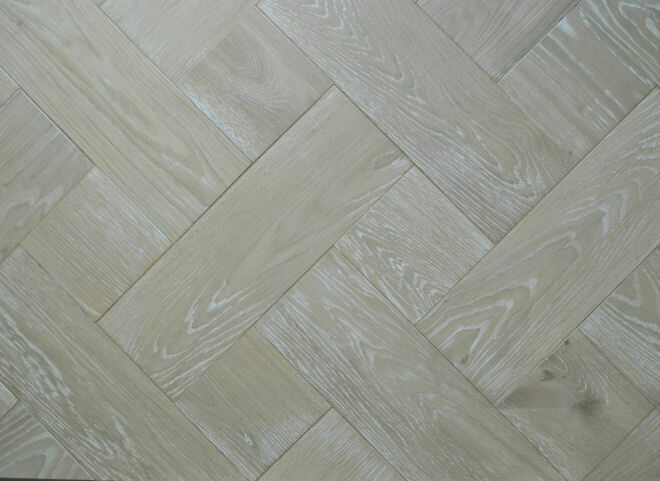 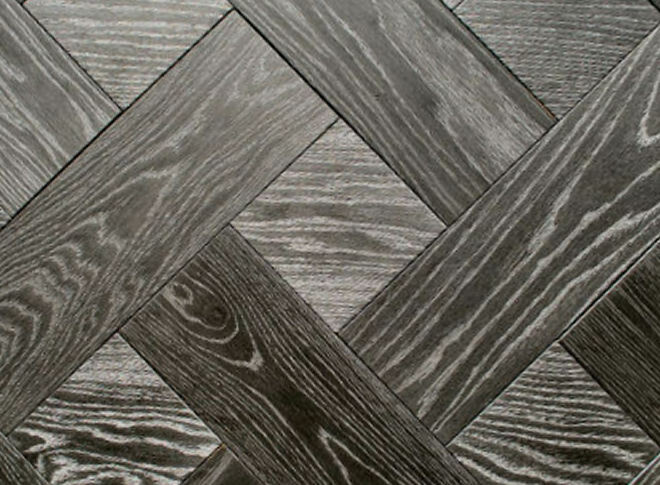 The Broderie Design Parquet means woven or embroidered and is a copy of a French design. 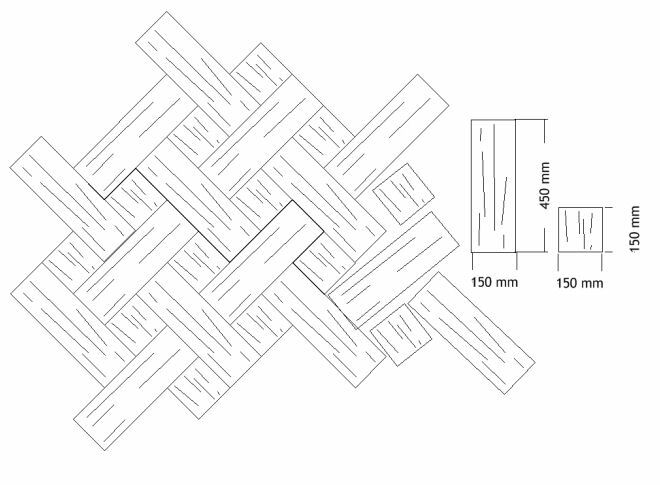 Our Broderie is engineered and is made up of 150 x 450 blocks and 150 x 150 squares. 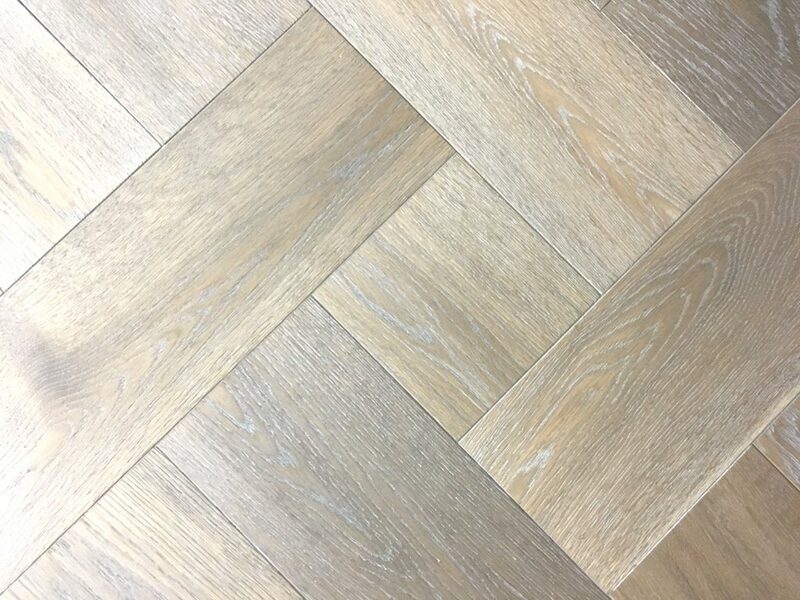 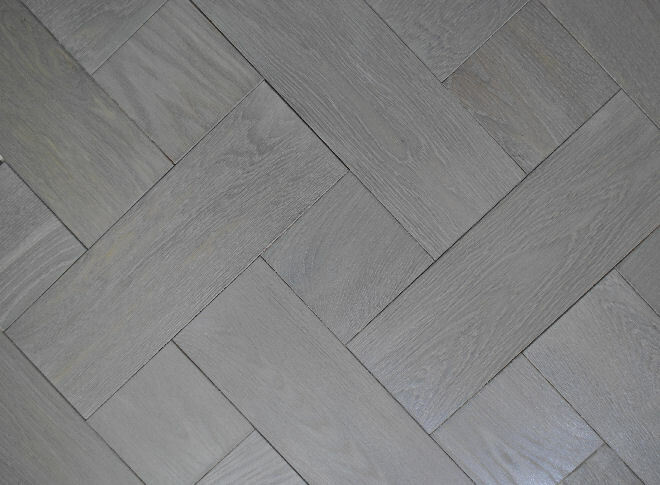 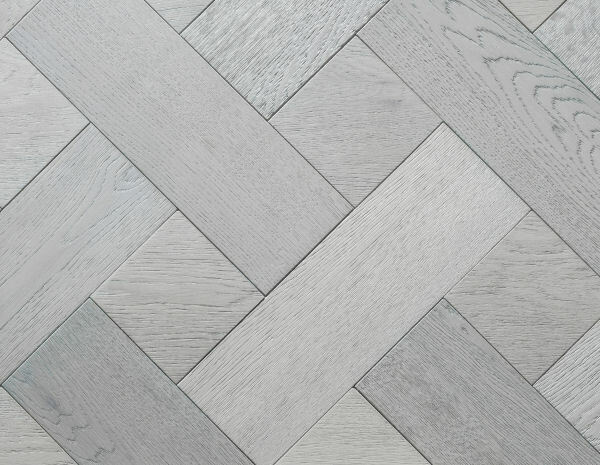 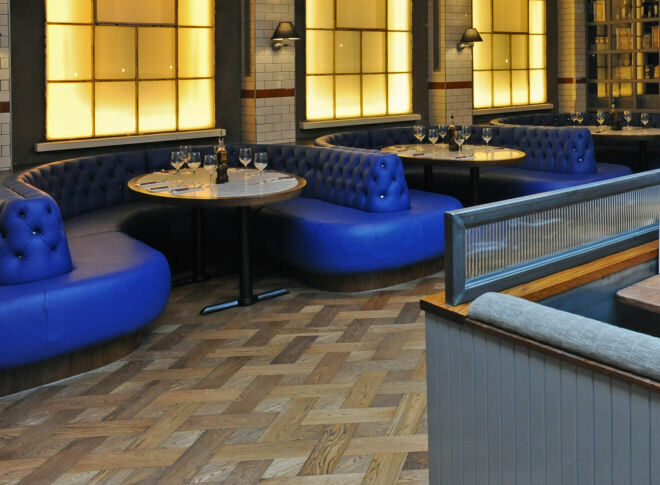 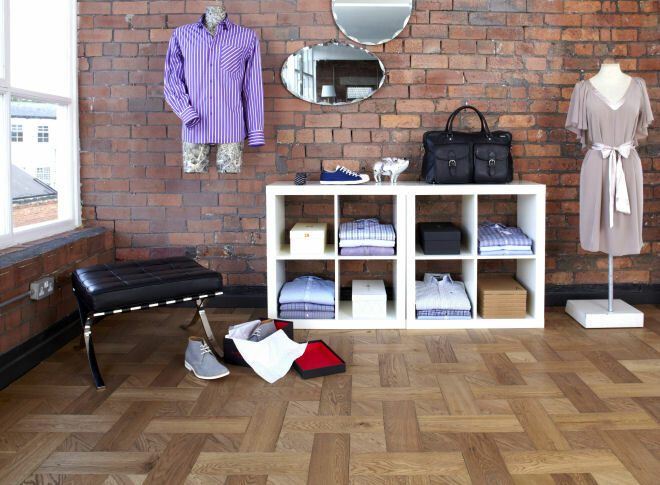 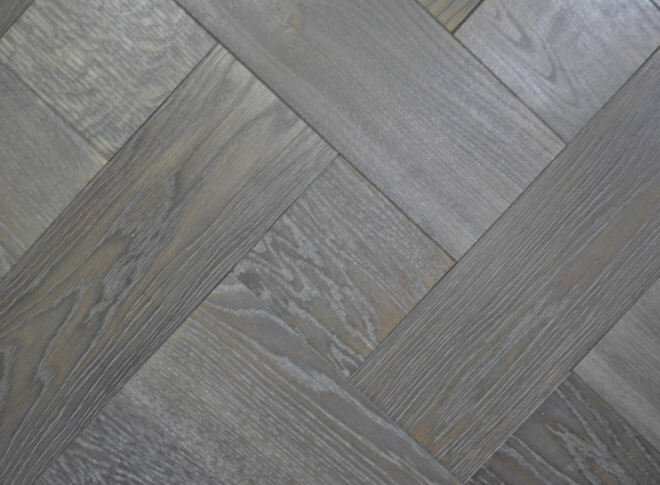 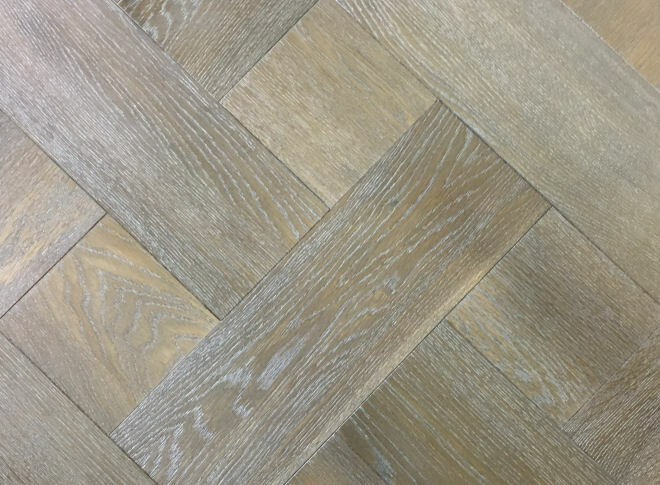 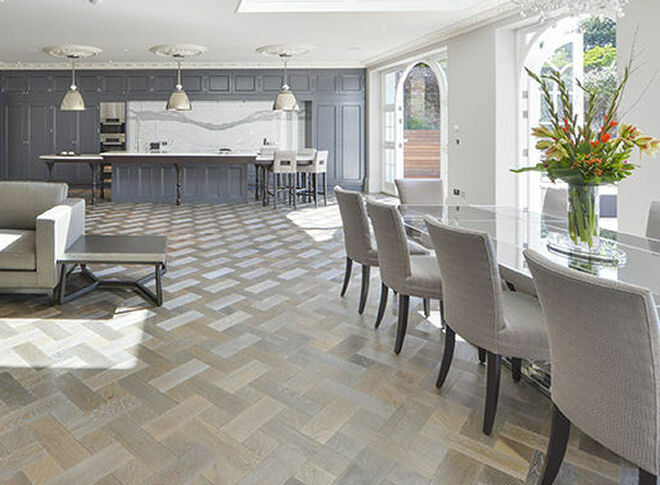 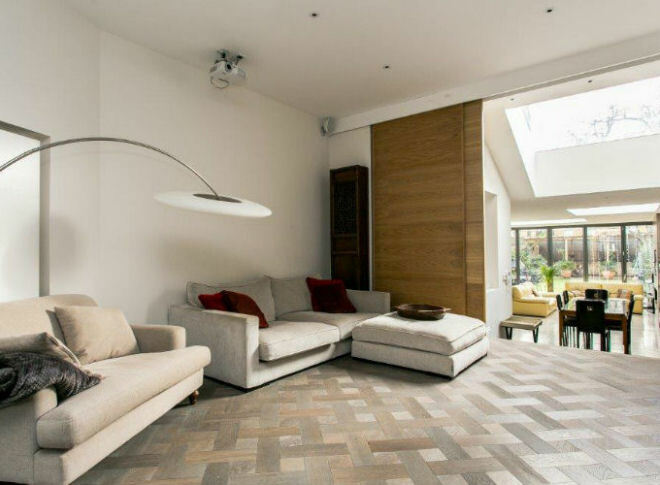 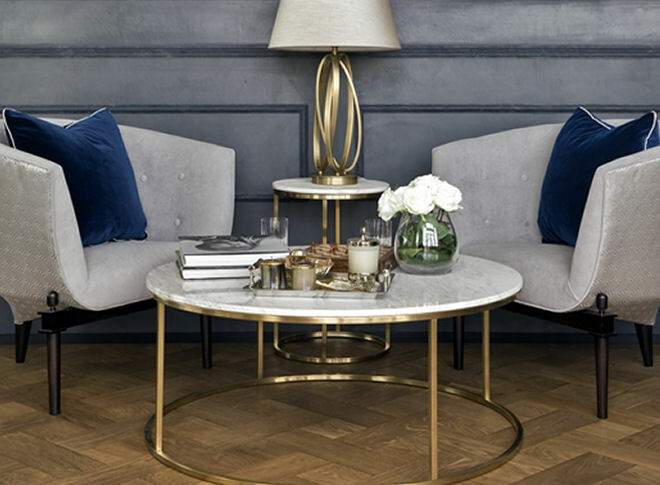 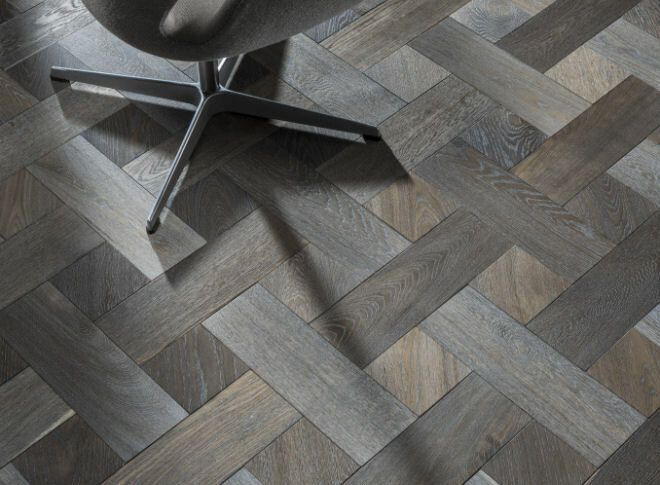 The floor is normally laid at a 45° angle which gives a flowing non directional look and a little more contemporary than herringbone parquet. 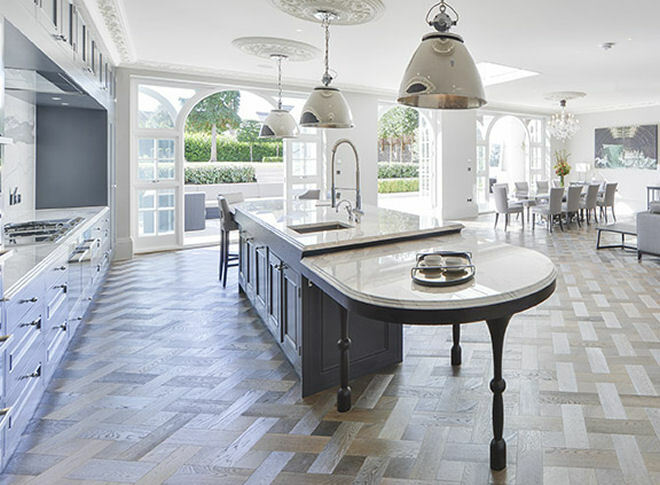 Because it is an engineered floor it means it can be used over under-floor heating provided that normal humidity and temperature settings are used. 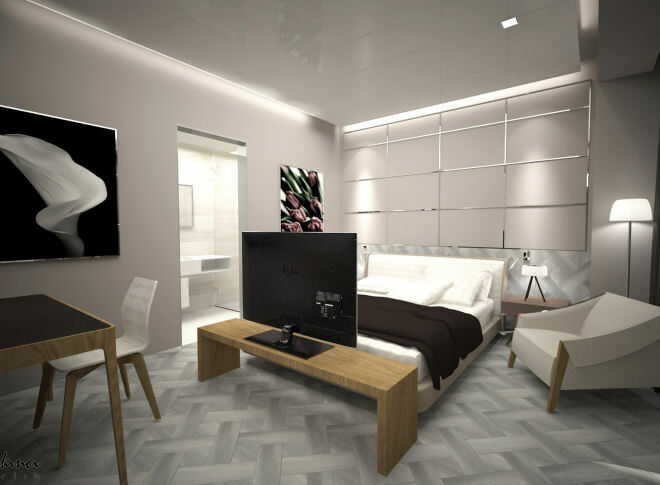 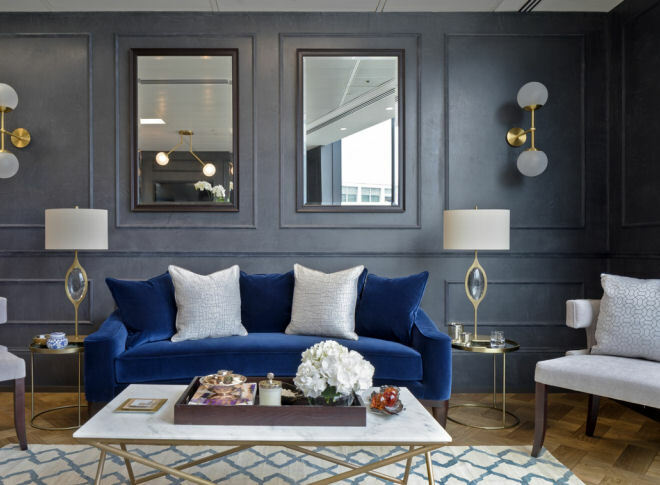 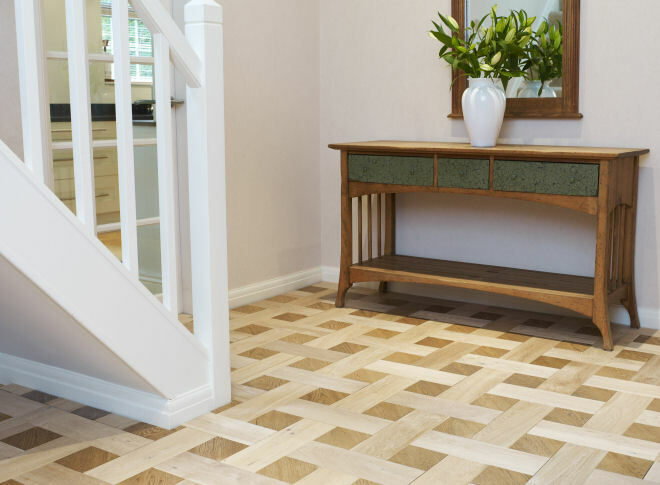 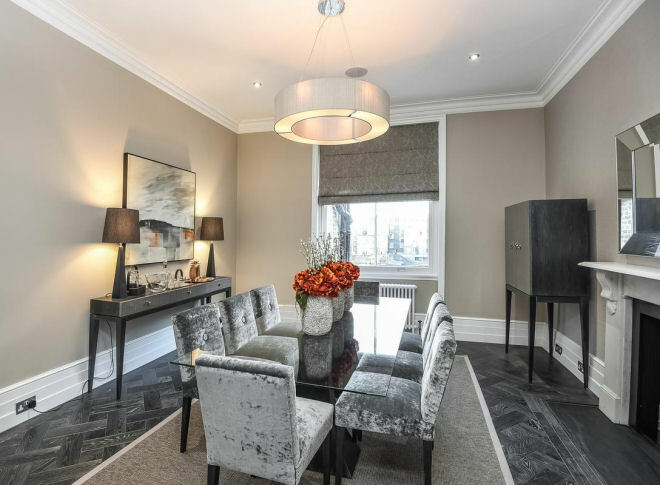 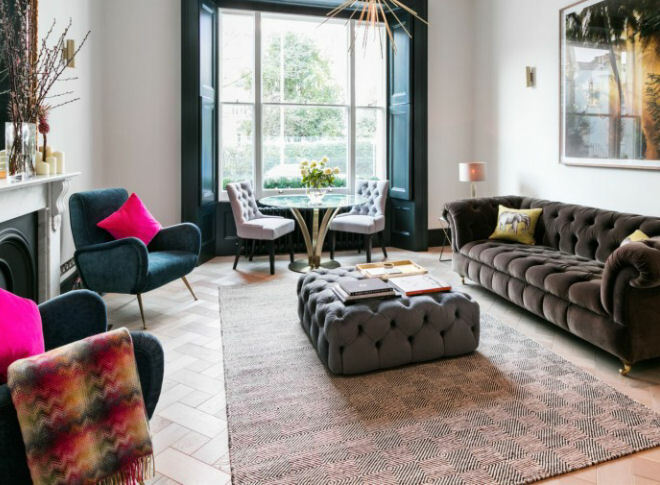 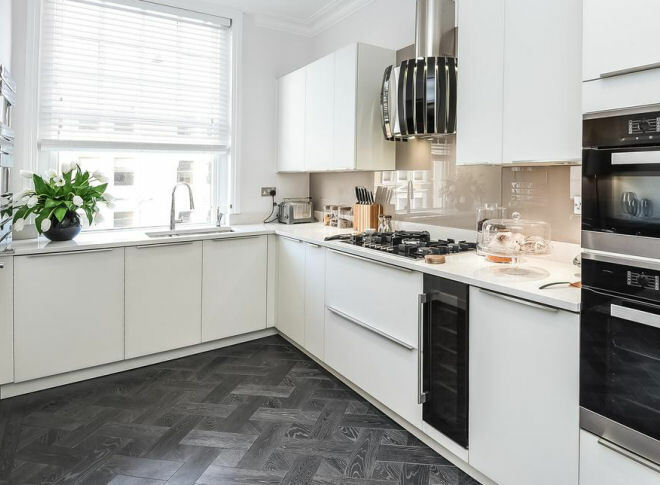 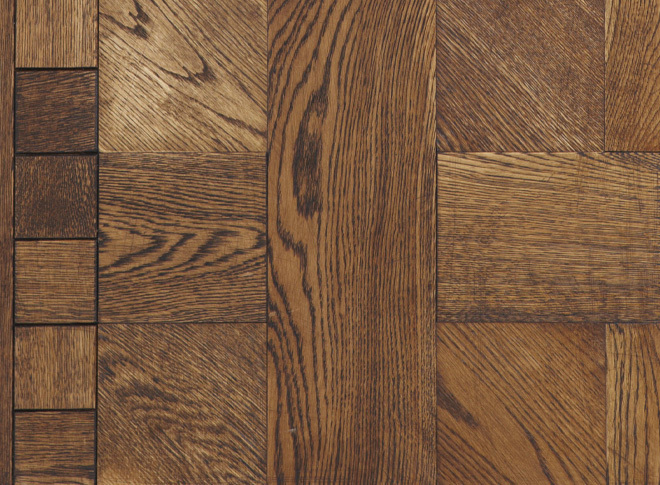 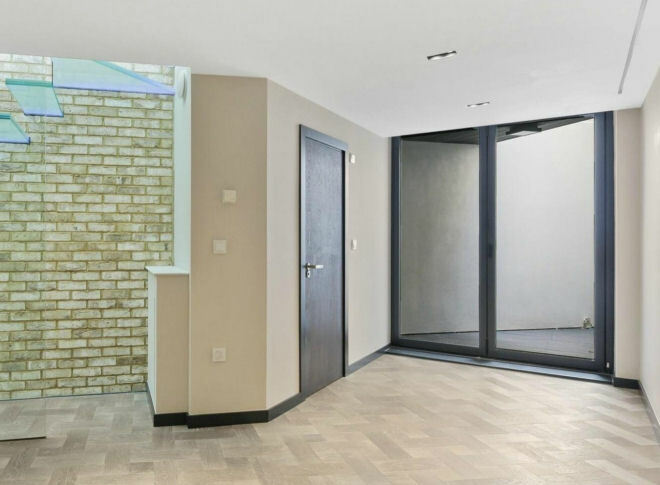 Installation is either by fully bonding with a flexible adhesive or by floating over a rubber and fibre wood floor underlay with the tongues and grooves of the blocks bonded with a PVA adhesive. 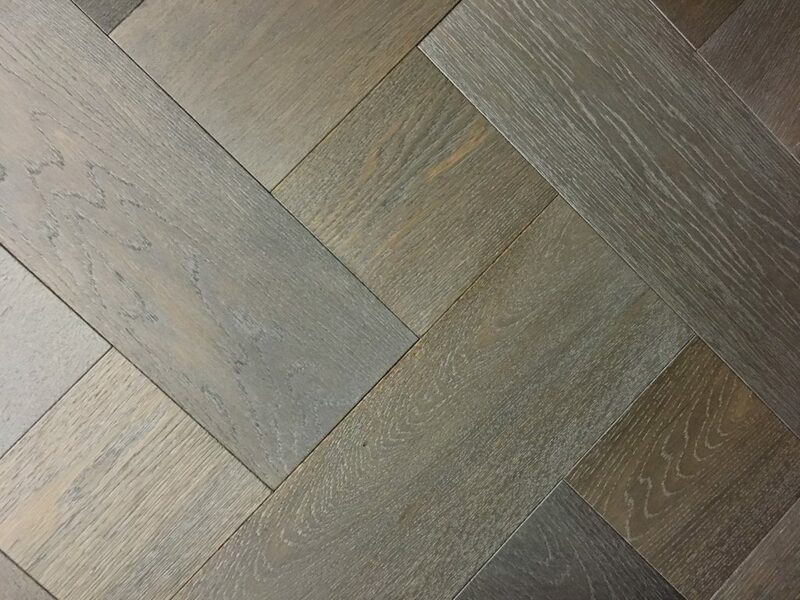 The blocks and squares can be finished in one shade or the squares can have a contrasting shade and have a pre-applied hard wax oil final finish. 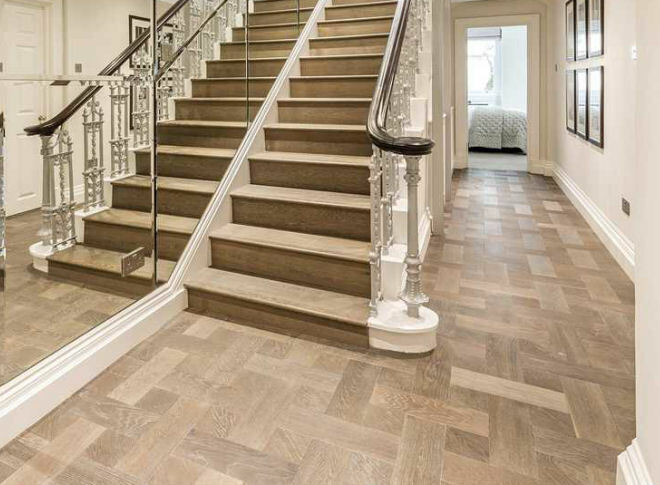 For further information on installation, please see our TECHNICAL page.